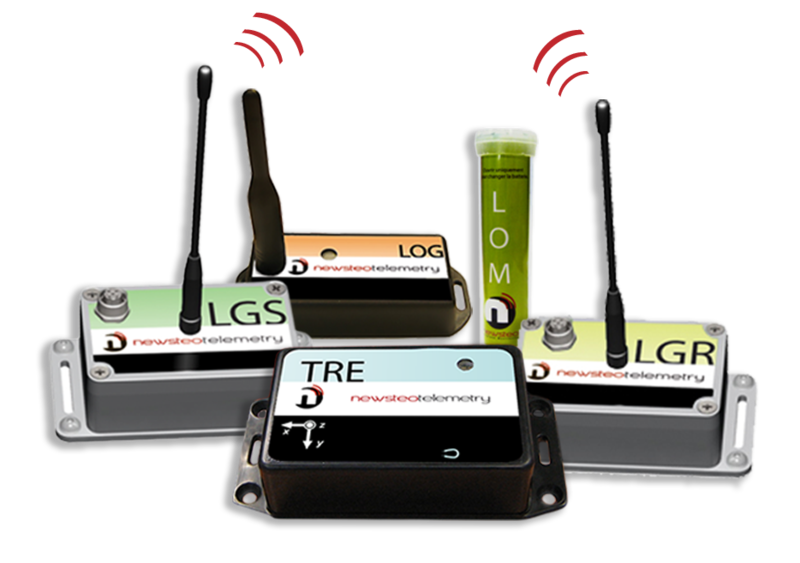 Newsteo connected sensors allow a monitoring system to be set up quickly and easily. When the supervision console is in proximity to the items being monitored, and it is not necessary to have access to measurements beyond the site being supervised, a local, single-site architecture is quite suitable. The data recorder–transmitter (also called a connected sensor or data logger) is placed in the area to be monitored (for example, the temperature recorder – is placed in a refrigerated cabinet for storing medicine, in a pharmacy. 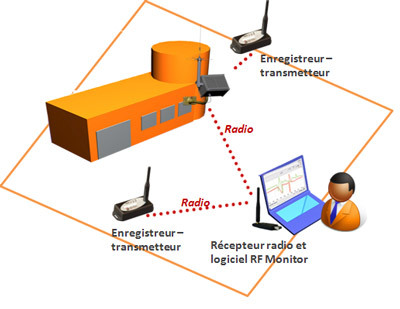 Every ten minutes, the recorder-transmitter takes a temperature reading and transmits it to the radio receiver. 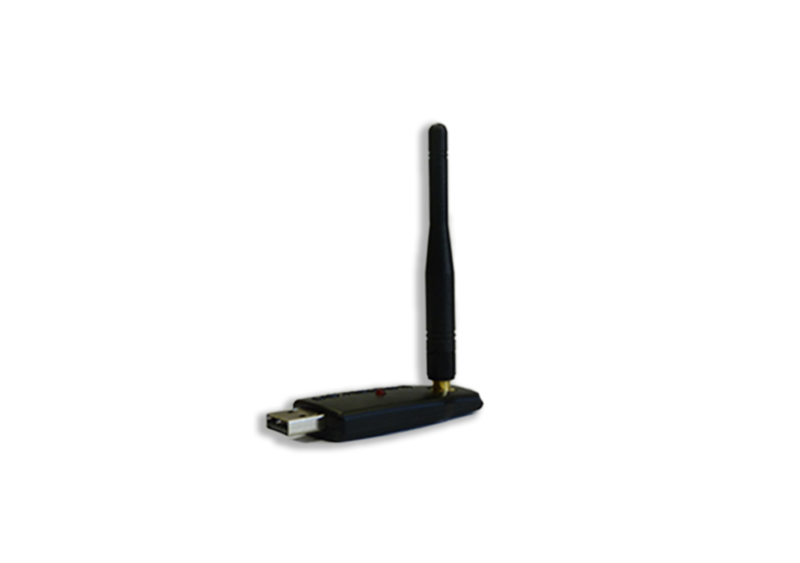 The radio receiver: is usually connected to a PC. It may also be connected to an automaton for industrial applications. 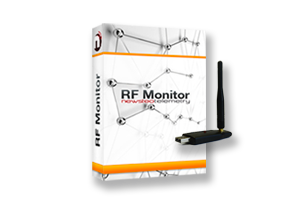 RF Monitor, software for PC: Newsteo’s RF Monitor software enables the measurements taken by the data loggers-transmitters to be viewed. It also allows them to be configured remotely. Measurements can only be viewed from the supervision console. They cannot be consulted remotely on the Internet. The PC used for monitoring purposes is often used for other tasks and may be shut down inadvertently. Real-time alerts would therefore not be received. 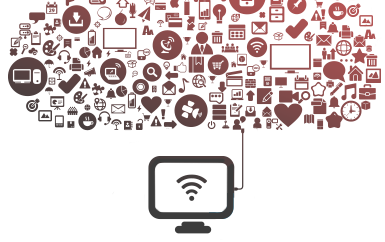 To protect you from the inconveniences of the local single site solution, the Internet supervision system offered by Newsteo is a very good fit. To measure temperature and humidity, etc., several units can communicate with the receiving station. Contact us to evaluate your need together.